Welcome to the Photo Gallery Spotlight. Each month we’ll showcase a particularly nice aquarium photograph, taking the time to discuss the identification and husbandry of the animal pictured as well as information relating to the technical details of how the photo was taken. Readers are encouraged to send images (and details on the organisms pictured, as well as the details of how they captured the shot) they would like to submit for possible inclusion in this feature to terry@advancedaquarist.com . If your submission is selected for use in the magazine, you will receive an item from the reefs.org or advancedaquarist.com store equal to $25 or less. 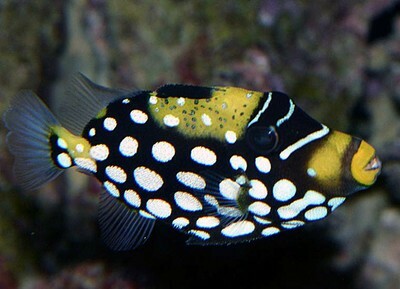 At the recent MACNA I brought home two Clown Triggerfish ( Balistoides conspicillum ). Both are now in my 10-foot reef tank — more about this in my editorial.